Linking is the technique for smoothly moving from one word into the next during pronunciation. Sometimes words are blended, sometimes new sounds are created, and sometimes sounds become silent when linking. Lack of linking can make an accent sound choppy. Want all of this information in one place? 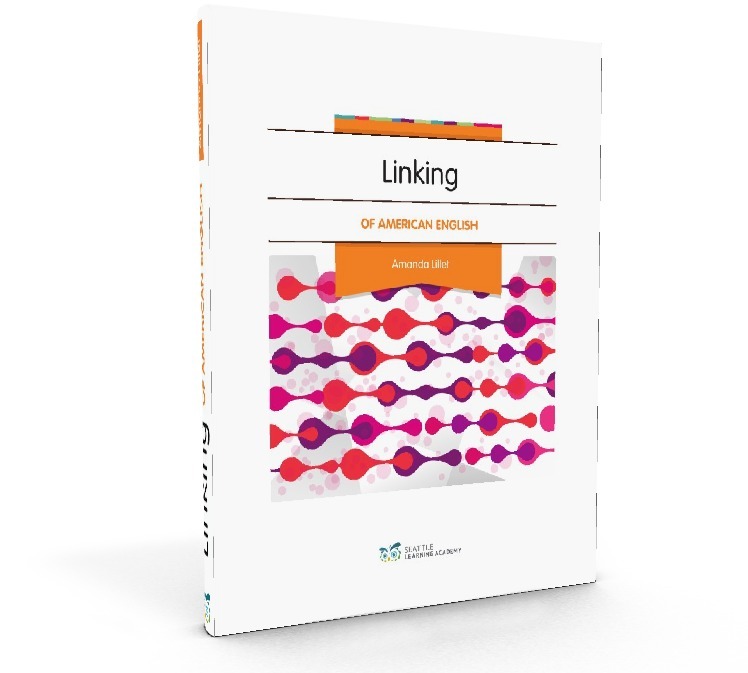 Get the Linking ebook! At its simplest, linking is the merging of multiple words together until they sound as if they are only one word. Native speakers of English all do this naturally. Linking is an advanced topic for non-native speakers, but learning to correctly link words can result in significantly more fluid and fluent sounding English speech. Failing to link words naturally results in spoken English which may have awkward pauses, extra, unnecessary sounds, and which will sound very foreign to native speakers. Techniques used for linking words depend on specific adjacent sounds where the words meet in the sentence. Blending is smoothly transitioning from the pronunciation of one sound into the next sound. Blending works well for linking from one continuous consonant--a fricative, approximant, or nasal sound--to another different continuous consonant. Coarticulation occurs when adjacent sounds overlap one another, causing a change in one or both sounds' pronunciation. Two examples of coarticulation include nasal aspiration and lateral aspiration. Nasal aspiration occurs when the 'd sound' /d/ links into the 'n sound' /n/. The tongue moves into the position of the /d/, but the sound is not completed with the typical aspiration (release of air). Instead, the stopped air is released as an /n/. The International Phonetic Alphabet symbol for nasal aspiration is [d̚ n]. An example of nasal aspiration occurs in the phrase "good news": the air is stopped as a /d/, but released as an /n/. Lateral aspiration is similar in concept to nasal aspiration in that the air is stopped as a normal /d/, but released as a different sound as an 'l sound' /l/. The International Phonetic Alphabet symbol for lateral aspiration is [d̚ l]. In the phrase "bad luck," the /d/ links into the /l/, and lateral aspiration occurs. Assimilation is a more drastic type of coarticulation. Instead of "sharing" part of a sound, the merged sounds are pronounced as an entirely different sound. Two examples of assimilation occur when the 't sound' /t/ or /d/ precede the 'y sound' /y/. When the /t/ and /y/ assimilate, the sounds merge into the 'ch sound' /ʧ/. This causes the phrase "don't you" /doʊntyu/ to be pronounced as "donchou" /doʊnʧu/. The /d/ assimilates with the /y/ and is pronounced as a 'j sound' /ʤ/. This causes the phrase "did you" /dɪdyu/ to be pronounced as "dijou" /dɪʤu/. Intrusion is placing an additional sound between other sounds. For instance, adding a slight 'w sound' /w/ or /y/ between vowel sounds is a helpful technique for pronouncing both vowels clearly. In the phrase "he asked," a small /y/ is added between the 'long e' /i/ and 'short a' /æ/. This allows both vowel sounds to be pronounced fully and separately without pausing between words. A slight /w/ is added to link the 'oo sound' /u/ to the 'short i' /ɪ/ sound in the phrase "do it." Again, this allows both vowel sounds to be pronounced clearly. Learn more about linking vowel sounds here. Elision occurs when a sound is removed from a word. For example, when a /t/ or /d/ is between two other consonant sounds (but not the first sound of a word), the /t/ or /d/ can be omitted. Geminates occur when one word ends with and the next word begins with the same consonant sound. Continuous consonants link to each other differently than stops and affricates. The j sound /ʤ/ and ch sound /ʧ/ are the only affricate sounds in English. In a sequence of identical affricates, no special linking occurs and the sounds are pronounced twice in a row. Therefore, in the phrase "orange juice," the j sound should be pronounced twice.